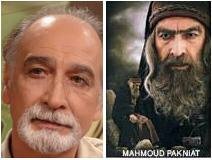 TV Serials: "Joseph(as)" & "Kingdom of Solomon" beside these he also work in more than 40 Films. In the Film "Kingdom of Solomon" He work as "YAZAR'" leader of Jews. very gracefull and wonderful actor....mashAllah.